The Belize Chamber of Commerce and Industry (BCCI) has issued a stern release, asking Prime Minister Dean Barrow to withdraw the proposed Ninth Amendment to the Constitution. The Chamber warns that the proposed Amendment creates a very dangerous situation, which is not contemplated by the Constitution. It allows the Legislature to have absolute power to amend the Constitution as long as it has the requisite two‐thirds to three‐fourths majority and follows the other procedural requirements under Section sixty-nine to enable the amendment. The Chamber’s view is that if passed, the amendment would move from Constitutional to Parliamentary Supremacy where the Parliament can pass any law without reference to our Constitution. Says the release from the Chamber: “The potential for abuse is real. We risk losing the basic rights and freedoms we as Belizeans consider the very essence of our democracy. We would be placing ultimate control of our democracy in the hands of our elected representatives, without any check on their powers.” While the Chamber recognizes the right of the Government to nationalize property, it argues that aggrieved persons should have access the Court to challenge that acquisition. The Chamber also objects to the proposal that investment of Social Security funds should be considered Government shares in public utility companies. Everyone agrees the Ninth amendment will be an evil scourge on the Belizean Nation, and it shall be stopped. The Ninth Amendment is the product of a depraved,perverted,self-hater who wishes to punish all his perceived enemies. And Barrow doesn’t care if he destroys the economy, the legal system and the Constitution in the process. But what I don’t understand is why don’t the PUPs, the VIPs, and the general population involved in strident,vociferous,rational opposition to the insanity and the evil visionary deception of Barrow to make himself divine, a god. The Caesars of ancient Rome made themselves gods yet couldn’t save themselves from death at the hands of its public. 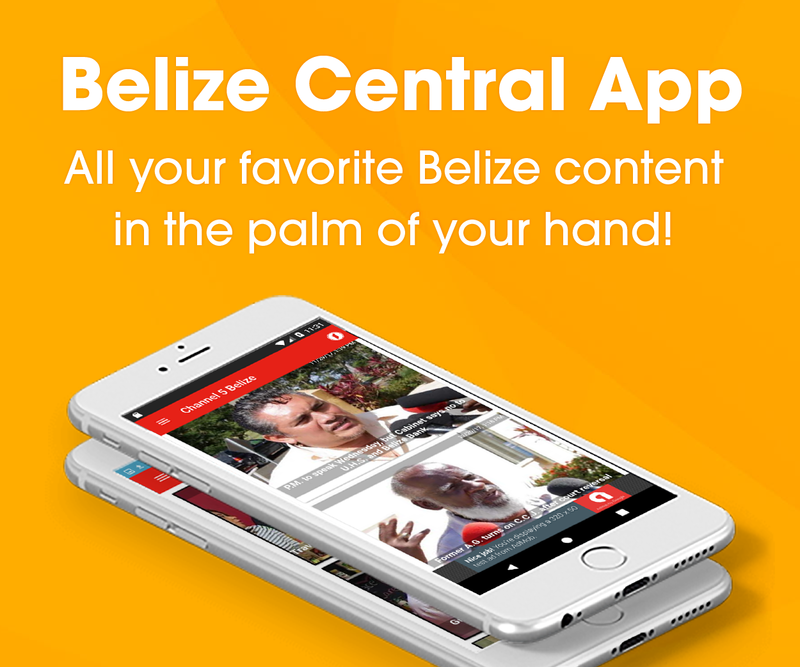 what is Belize waiting for? By now there should have been massive demonstrations in the streets of Belize City and throughout all the districts of the nation. I am afraid that if barrow passes this amendment, Belize will be in cinders. PUPs start the massive protest to this amendment. Mr. Malthus: In retrospect, I think its a plus that the other political parties take a back in this fight against the 9th amendment. The less political influence we have in the fight, then the more qualified it becomes. You know how it is, the UDP is hoping for a reason call the dissent a political tactic. But with social partners, interests groups and the general public opposing the amendment, Dean and his crowd will find it difficult to label it as political. There is absolutely NOTHING evil about this amendment. There will be court access to anybody regardless if this is passed or not. The reason why there are no protests is because there is no “real” problem with this whole thing. These last weeks have proved that the government can go forward with this. By the way, if the government has consulted the people, why should there be any resistance to them? There is absolutely NOTHING evil about this amendment. There will be court access to anybody regardless if this is passed or not. The reason why there are no protests is because there is no “real” problem with this whole thing. These last weeks have proved that the government can go forward with this. By the way, if the government has consulted the people, why should there be any resistance to them?? Well said subkonshus, you took it out of my mouth, they are already doing this though..and its not looking good cause they are telling their own electorate u da pup and have an agenda, if they are naming their own people pup’s just to justify themselves, they are losing votes, they lost mine a long time ago…they re even calling H Elrington crazy in their mouth piece Wave and Guardian…what a damn shame,..just plain ignorance. Does anyone have any information on the sovereign guarantee GOB gave Atlantida? Its not out yet but it will come out, just like the accomodation agreement, i beleive he changed the law to ensure there are no secrets…so this will come out too…and we dear call him a nationalist..? Abe, since you are one of them, can you please be so kind as to ask the prime minister to furnish all the media houses with the soveriegn guarantee he gave Atlantida to buy BSI 51% controlling shares..? After all he changed the laws so there are no secrets, just so the whole world knows there was an accomodation agreement to give btl 15% returns on investment, or withhold taxes. As i understand it there should be no secrets right..? The ninth ammendemnet to the constitution is as bad as you and all you udp’s who stand to benefit by being Barrow’s allies, stand against them and they call you traitor, run you to the ground, call you a PUP to make matters worst. Arent you all calling H Elrington crazy..? Send it to referendum ABE..? Send to Referendum and lets prove you right if you are..!! !…by the way i will no longer vote UDP, i take back my ex i wasted on this garbage governement….!! and tell Barrow, a lot of us are..!!! To Abe: Of course their is nothing evil about the amendment. But such power in the hands a vindictive leader can be nothing short of evil. Their is nothing wrong with a knife right? Good, put in your throat then we you will have a problem. Use it to cut your vegies…no problem. So then we debate, was the creation of the knife a good thing. Answer, it ultimately comes down to the motive of the person behind the knife. In layman’s terms, the 9th amendment will prevent the court from reviewing the motives or outcomes of any new legislature passed by any government in Belize. Once it was passed by 3/4 or 2/3 majority, the court will be compelled to look no further. Do you really, honestly, in your sober mind, want to put this kind of power in the hands of any government in Beilze? If that legislation goes thru the house, then the government can bring back and pass the 8th Amendment….They can wake up one morning a say “Effective immediately, elections will be held every 10 years in Belize……Any media house that criticizes the government will have their licenses revoked….If oil is found on your land, it immediately ceases to be yours, it now belongs to the “People of Belize”…….Belize will only celebrate Christmas and Easter, all other holidays will be removed from National Calendar…..Only people who are gainfully employed will be able to vote in national elections…..” Once any legislation is passed by 3/4 majority of the house THATS IT!!!!!! Just think about any legislation that could negatively affect you, your business or your family, then you will learn why the 9th amendment should not be passed. WELL THIS IS NONESENSE. Barrow need to go and publicly say that the proceeding of this 9th amendment is not fully understood by the people let him explain it to the people at the public morning talk show to ask your questions. Get to know what you don’t understand and all of these rights to be taken from hearing and court restriction what so ever is totally misunderstood. Let the bill pass and those bad dogs bark and suffer if you will. I don’t have oil in my yard yaaaaaaaaaaalll. If one thing goes for another everything complain let it be for the People regardless. We cannot own anything that come from our natural resources. understood. We all want a share or you die that’s how see this bloody country the rule now. What ever happen happens we want a Belizean government show we are all suffering. To Abe : Evil is what evil does. In this sense, the Ninth Amendment will destroy your freedom to seek redress of grievance commited by those in authority by denying you one of the basic rights already enshrined in the Constitution ___ the right to freedom of Choice in pursuit of happiness. If the government says that I cannot pursue any path of action because the Rule of Law prohibits it, I say , in spite of that , I have all rights to seek redress in Law. Don’t forget no Constitution is INFALLIBLE although scoundrels may say the Constitution is Supreme. the mere fact that we can amend the CONSTITUTION means that it is a living document which aspires to protect all its citizens and visitors within its borders. Remember the earth has boundaries but human stupidity is limitless. As to Subkonshus; All political parties must demonstrate and remonstrate against the Ninth Amendment; all social entities including the Churches, Chamber of Commerce, each citizen and visitor ,even the stones on the streets and in the hills and mountains in belize must demonstrate and remonstrate against this evil, against this devise of immorality and violence against the living and those to be born . How will the ninth amendment affect business organizations? i am currently a citizen of EMERICA, DO NOT LET WHAT HAS HAPPENED HERE HAPPEN TO Y’ALL! i am not currently familier with the Belize constitution,but i studied const. law on my own here and i can tell you the concept of WE THE PEOPLE should always be retained.if u give’em an inch they’ll take a mile. nip it in the bud before it gets out of control!always stay alert 4 tyranny,and always retain a sovereign status! POWER TO THE PEOPLE!!!!!!!!!! !